In the late 1800s and early 1900s, many European nations and the USA began to conquer various areas around the world. This practice was called imperialism, when larger nations control weaker regions. The goal of these pursuits was to control raw resources and the wealth of weaker regions. For instance, the USA took Hawaii from Queen Liliuokalani partially to control the sugar market in the area. Admiral Alfred Mahan and others urged the USA to build up its military might to compete with the trend of imperialism coming out of Europe. In the USA, imperialism was partially fueled by ideologies that asserted that American culture was “superior” to others. The USA also expanded by purchasing Alaska from Russia. Secretary of State William Seward led this effort in 1867. 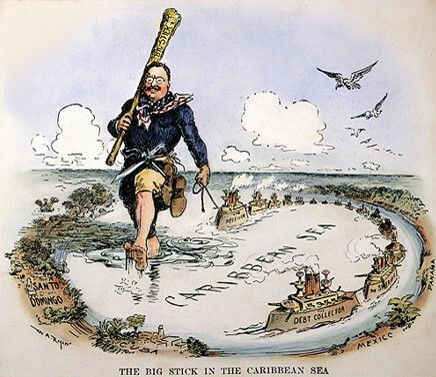 In the Spanish American War of 1898, the USA wanted Spain to give Cuba independence. America was cautious to use force to assist Cuba, until the USS Maine was allegedly “attacked” by Spain. The USS Maine was sunk, nobody knows how, but Spain was held responsible. After this, the USA declared war against Spain and began to use force to help Cuba achieve independence. The Rough Riders group was a horse cavalry led by Teddy Roosevelt and they fought in the Spanish American War in Cuba. The Rough Riders won the famous Battle at San Juan Hill in Cuba. This made TR famous as the leader of the group. The USA won the war and gained the Philippines, Guam, and Puerto Rico. Many felt this was inconsistent of America because the USA wanted Cuba to gain independence, but took other territories from Spain. Cuba was allowed to be independent; yet, it remained a protectorate of the USA, meaning the USA had great influence in the area. The Platt Amendment laid out the guidelines of this arrangement between the USA and Cuba. The USA took control over the Philippines and Emilio Aguinaldo tried to lead a Filipino rebellion against the USA. This failed rebellion was called the Philippine-American War. TR pursued many actions as President that got the USA involved in international affairs. During the Russo-Japanese War, Russia and Japan went to war to control Korea. 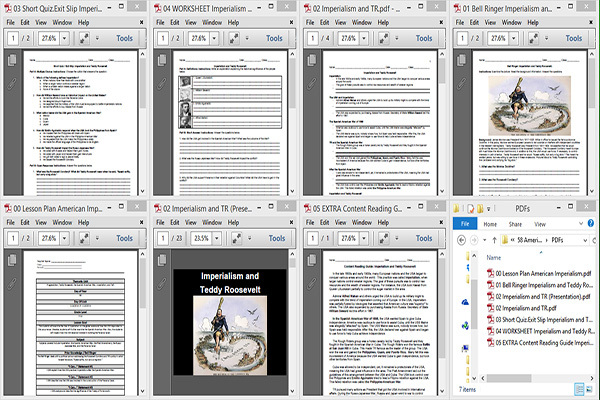 TR got Russia and Japan to sign the Treaty of Portsmouth and end their war. Russia allowed Japan to control Korea. This changed the role of the USA to be more heavily involved in foreign affairs.